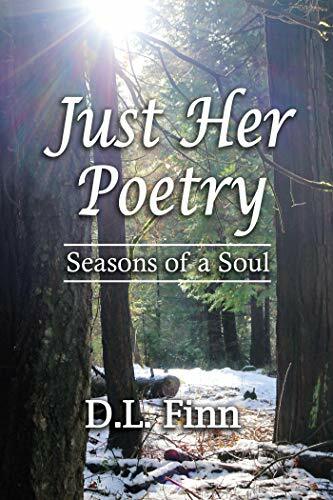 This entry was posted in Book Release, Poetry and tagged D.L. 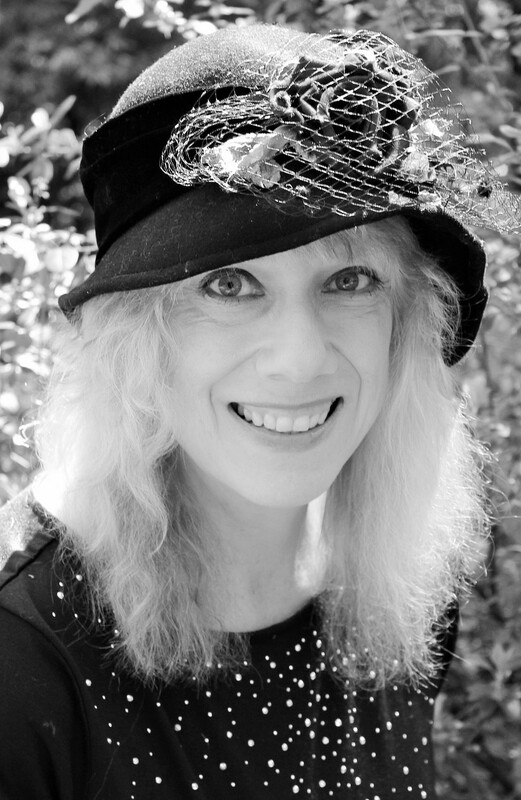 Finn, Just Her Poetry, Mae Clair, New Release, Poetry by Mae Clair. Bookmark the permalink. I am very excited to be here Mae, sharing an ocean poem. Thank you for having me. Hope you had a fantastic time. Welcome back. Thanks for the welcome back, and it’s a pleasure to host you. The ocean poem is beautiful. I’m already partially through your new collection and can say that’s the case with all the poetry your collection contains! Thank you Mae:) Happy to hear you are enjoying it! Yay! It’s my pleasure to host, Gwen! I started Denise’s book last night and can attest that you’ll find many lovely selections within its pages! Thanks Gwen. I had to bring a few over from “No Fairy Tale” to be in a poetry book. There is supposed to be an update available soon if you pre-ordered. Content doesn’t change but the formatting is a bit tighter. A missed button push. I look forward to your thoughts Gwen. What a beautiful poem. I think from D.L.’s bio that she was destined to be a creative soul. She most certainly is. Thanks for visiting and sharing in her release excitement, Priscilla! Thank you Priscilla:) Happy to hear you enjoyed the poem! Thanks for coming by. Aww, thanks, Julie. And I agree with you about Denise and her nature-inspired poetry! Denise, you are so at one with nature, I feel like your mortal eyes have seen those souls below. Or your spirits have communed in some way. I love this poem. Your work brings a sense of peace to me. Thanks for sharing, and good luck with your new release. Welcome back, Mae. And thanks for hosting today. Thanks for the welcome back, Staci. It’s a pleasure to host Denise. You’re so right about her poetry. I always feel connected to nature when I read her vividly-themed poetry! I like another world…the ocean of anguish gets deeper if we stay longer. So I just go there to drown negative thoughts and bounce back with the first wave, drenched with sunshine. I am pleased to be here Mae, thanks to Denise’s poetry tour. Such a pleasure to have you visit! I loved your comment about bouncing back with the first wave drenched in sunshine. What a wonderful complement to Denise’s beautiful poem! Thanks Balroop:) i am glad you enjoyed this. I like the idea of the first wave bouncing us back bathed in the sun. It is a place of magic. Thank you for following along the tour. What a delightful excerpt from the book. I need these sorts of reminders as I am not naturally that person. I can’t wait to read Denise’s book. I started reading it last night, Jacqui and am marking favorite poems and passages as I go. It’s a pleasure to read. Many thanks for visiting and sharing in Denise’s release excitement! Thank you Jacqui:) I’m glad I could remind you, I need to be reminded alot or why I like to be around nature so much! I’m looking forward to your thoughts. So jealous you were at the beach, Mae – hope you had a fantastic, restful time. This is a beautiful poem, D.L. – congrats on your new release! The beach was fab, Teri. It’s my second home. I always love visiting regardless the time of year. Thanks for popping in to cheer Denise on with her latest release! Thank you Teri:) So happy you stopped by. Lovely poem today, Denise. Thank you, Mae, for hosting Denise today. My pleasure, John. Thanks for visiting! Thank you John:) Happy to hear you enjoyed it! Hi Denise and Congratulations on your wonderful tour. I love the book cover and just the way you express life in your poems. Keep it up. Hi Mae Clair. I love your blog. Its so comforting to visit here. Congratulations. Hi, Shirley. It’s a pleasure to have you visit my humble blog abode. I’m glad you stopped by to cheer Denise on with her new release. P.S….I absolutely ADORE the cover of Denise’s newest collection of poetry. It’s so utterly soothing. Hi Shirley:) Thank you for your support! This is my favorite cover so far. I’m happy you like it, too, and how I express through poetry. I will try. Another great post, with great facts. Thanks so much for hosting, Mae!! Hi, Marlena! It’s a pleasure to have you drop by and share in Denise’s release celebration! Good luck with your new release, D.L.! Thank you, Judi:) I’m happy you dropped by. Thank you:) Very happy you stopped by! Hi, DreamChaser. Many thanks for visiting! Another lovely poem by Denise, Mae. I also express my emotions and feelings through my poetry. Thank you Roberta:) It’s a great way to work through emotions or capture what is around us! Happy you dropped by here. Yes, you write lovely poetry as well. You and Denise have me thinking I should play around with it again. I used to write a lot of it when I was much younger. Sometimes it’s nice to just pause and reflect on the world around us or our inner thoughts and/or emotions. More really cool “Finn Facts!” I love this and the poem touched me deeply! Thanks, for hosting, Mae! Denise always writes such intriguing stories and poetry it was a pleasure to host her. Thanks for visiting, Jan! Thanks Jan:) I’m glad you have been enjoying Finn facts! Nice to hear the poem touched you. Wishing you both a beautiful week ahead. Cheers! Thank you Natalie:) Yay! I look forward to.hearing your thoughts. A big cheers back to you! I hope you have a wonderful week, too Natalie. The beach was wonderful, Natalie. Always so great to get away. And you’re sure to love Denise’s book of poetry. It’s a gem! I can’t wait! And kudos for you to taking the step to publisher. I’m cheering you on! !